Chef Enrico Crippa was born in Carate Brianza, Italy in 1971. His first experience in the restaurant business came at the age of 16 as a commis in the historic Milanese establishment Gualtiero Marchesi. It was here that he began a career that led to collaborative efforts with some of the most famous chefs in Europe. Among those under whom he studied: Christian Willer of the Palme d’Or in Cannes, Gislaine Arabian of Ledoyen in Paris, Antoine Westermann of Buerehiesel in Strasbourg, Michel Bras of Laguiole, and Ferran Adria of El Bulli in Roses. His encounter in 2003 with the Ceretto family enabled him to achieve this ambition when Piazza Duomo opened in Alba in 2005. In 2006 the first endorsement of his talent arrived with a Michelin Star, and in 2009 a new milestone propelled him into the Who's Who of Italian restaurants: 2 Michelin Stars. 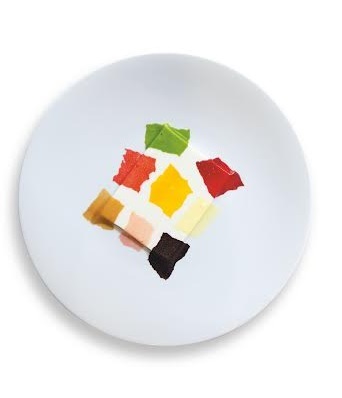 On the 14th of November 2012 Enrico Crippa has been awarded 3 Michelin stars. 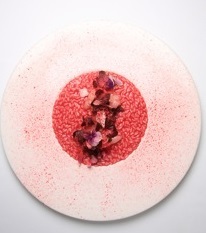 On the 14th of November 2012 Enrico Crippa has been awarded 3 Michelin stars. I was 16 years old and I started to work in Gualtiero Marchesi restaurant, in Milan. From that time, I was in contact and I worked with the most important european Chefs as Michel Bras, Christian Willer, Gislaine Arabian, Antoine Westermann and Ferran Adrià. Tell us about Piazza Duomo. What inspired the idea and what is your vision for the restaurant? Piazza Duomo was born after I met Ceretto’s family and we thought about to try to do an excepyional restaurant in the earth of Langhe. What strategic partnerships/marketing strategies have you implemented that have attributed to Piazza Duomo's success? Our success is not due to a real marketing strategy, but most of all it is due to the continuing research in what is the best and the wish to try to improve evry single day. It is difficult to speak of trends in a region in which enogastronomy is the most important sectory. Anyway, we are noticing that our potager is in exploitment and we will open a second restaurant in Barolo, where our potager is located. Your greatest success as Proprietor of Piazza Duomo? Most difficult moment-how did you overcome and what did you learn? The best moment in these 10 years of hard work has been the third Michelin star, the realization of a dream. Fortunately we didn’t have big difficult moments until today. Find a unique idea and really believe in it. Describe the ideal experience at Piazza Duomo. The ideal experience at Piazza Duomo is to discover our cuisine philosophy through the choice of our suggested menu. How important are architecture/design to the success of Piazza Duomo? For me the relationship with art is very important. I always I am inspired by art, by the colors. Ceretto’s Family has a lot of relationship with different artists and every meeting I had with them inspired me. I think that the best and unique way to really motivate my employees, is to give to all of them the right example of what I would like they do. My first passion after my work, is the bike. I am used to go riding a lot during Spring and Summer; while I am riding I feel good and relaxed. I am really fascinated by Iceland and it will be my next trip. What's next for Piazza Duomo? In 1990, Enrico received first place in the Concorso Artistico di Cucina (Artistic Cooking) competition, repeating his success once more in 1992. 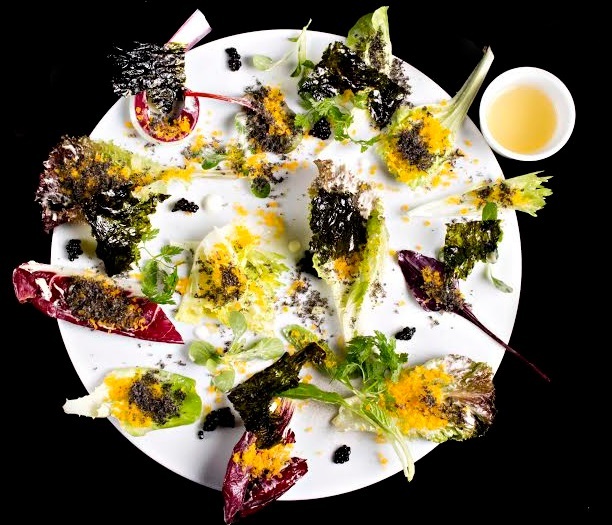 At the age of 25, he left for Japan where he worked for three years as Executive Chef, dividing his time between Gualtiero Marchesi’s restaurant in Kobe and the Rhiga Royal Hotel in Osaka. Through this experience he learned classic Japanese cooking, not to be confused with the trendy “sushi-mania,” and developed a profound appreciation for the simple, elegant philosophy that guides Japanese cuisine. Upon his return to Italy, Enrico continued to develop his skills as a world class chef while biding his time until he could establish a restaurant of his own.